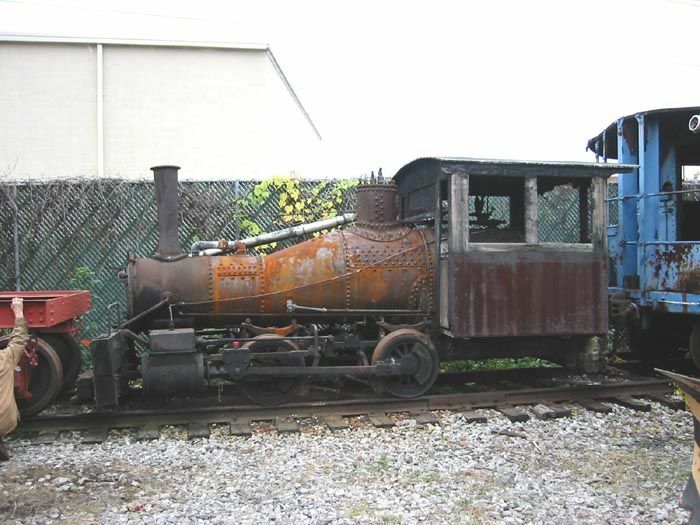 How about Lake Superior & Ishpeming 23 in Kingston, NY, or the privately-owned Davenport 0-4-0T stored elsewhere on the Catskill Mountain Railroad? Another "obscure" steam locomotive rebuild underway is the Santa Cruz Portland Cement #2 (Porter, 0-4-0T) at the Mt. Rainier Scenic Railroad's shop in Mineral, WA. "Built in 1909 by Porter, SCPC 2 was the FIRST of her kind, being the prototype for HK Porter's new line of 0-4-0t locomotives." Certainly Porter built 0-4-0T's prior to 1909 and long thereafter. What made number 2 "different" from what Porter had built before? No explanation of that statement is on the Facebook page. If anyone can provide enlightenment, it would be appreciated. Thanks! What made number 2 "different" from what Porter had built before? "The first of Porter's 'new and improved' 0-4-0 standard gauge tank engines." Would be a fun homework assignment to research what all the changes were, and why. American Steam Railroad is still out there with #1352 getting it ready to be moved to Cleveland Ohio. Study is complete and getting ready to do the kick off the capital campain called Steam UP 1352 starting the end of September 2013. She'll be in the same home as 4070 so the B&O West 3rd Street Roundhouse will have 2 locomotives under restoration. Keep watching as it will be the only Frisco Mike to come back to life in the last 50 years. Western Maryland Scenic Railroad is restoring ex-Knox & Kane/H&BTM 2-8-0 #38 and B&H 2-6-0 #11 for the Everett Railroad. I think the 38 is first in line, if memory serves. Its been over 3 and a half years since Mr. Bailey started this thread. And a lot of locomotives have been mentioned. Some of the engines have been restored to operation, or cosmetically. Work continues ongoing on others. Some work seems to have stopped completely. Some photos have even been deleted from the net in the interim. The two engines above were mentioned toward the very beginning of this thread. But nothing since. Anyone know how these restorations are coming? Terrific explanation. And as the gentleman used to say, now I know "the rest of the story!" Continued success on the restoration of SCPC #2. Historic Prairie Village in Madison, South Dakota has restored their Lima-built ex-U.S. Army 0-6-0 to operation. Spike is very slowly underway at Rock River Thresheree in Edgerton WI- last winter was brutal, and the summer operations are underway. Spike is a 600MM 0-4-0T Henschel.